A week or so ago, my French other half was under the weather. And it wasn’t until that point that I learned that not everyone understands the healing power of chicken soup. So I made a Poule au pot (chicken cooked in the pot) with carrots and little bits of pastina (pearl-shaped pasta) floating around in the broth, and stopped at the market to pick up a bunch of fresh dill to chop into it. Fresh herbs are widely used in French cooking and available in Paris markets, although some are hard to find, especially oregano, marjoram, and sage. Others, like thyme, rosemary, and tarragon are sold in generous bunches, as well as fresh dill. Although I’ve always wondered what people in Paris do with all that fresh dill since you only rarely see it on menus, unless it’s paired with salmon. It was hard to explain the appeal of dill with chicken soup, but not only did the soup work its magic, the dill was a surprise hit. However I had half a bunch left over and since wild salmon isn’t so abundant, but cucumbers are, so I decided it was Tzatziki time. Speaking of spices, and surprises, a friend had given me two containers of spices from Israel and they weren’t labeled, but when I removed the lid and took a whiff, I knew that I needed to someday go to Israel and stock up on more because I’ve been using them for everything, from jazzing up a bowl of Baba Ganoush to a marinade for pan-fried chicken breasts. There are lots of variations on Tzatziki – some have you grate the cucumbers and call for plain yogurt, which I find a bit runny, so I use Greek yogurt. If you can only get plain yogurt, use a full-fat variety and drain it in a mesh strainer lined with cheesecloth, or a similar draining fabric, for a few hours in the refrigerator. Everyone in Paris has been a bit under-the-weather, not necessarily physically, but mentally, because even though we are on the cusp of spring, it’s been drizzling rain and cold, and we’ve all had enough of winter, merci beaucoup. 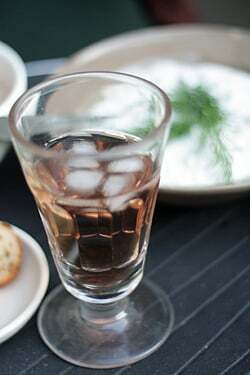 So in spite of the weather – and for a variety of reasons – it was time to break out the rosé and the Tzatziki made an appearance as an appetizer while a few of us braved the chill and made the best of the overcast weather on a makeshift table set up in the courtyard of the building. The leftovers made a cool contrast to the marvelously seasoned chicken breasts, which I’d marinated in the green spices from Israel. It’s funny when people tell me they don’t have time to cook because this chicken took less than ten minutes to prepare. (Admittedly, it might have taken less time if there wasn’t rosé involved.) But even if you don’t have friends that give you spices, I often keep a jar of this Tuscan herb mixture around prepare chicken the same way, so I always keep a jar on hand. 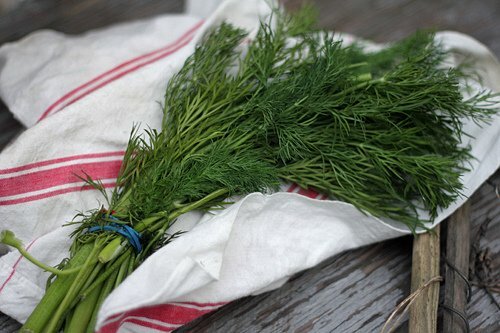 So if find yourself with some fresh dill on your hands, and the weather is promising where you live, I can’t think of a better way to accompany a glass of wine or whatever you’re serving for dinner. You can use any herbs that you like. I prefer heavy on the dill, with a good dose of fresh mint in there. Some folks like flat leaf parsley as well. Tzatziki is actually better is made the day before you plan to serve it, which gives the garlic time to infuse the yogurt. 1. 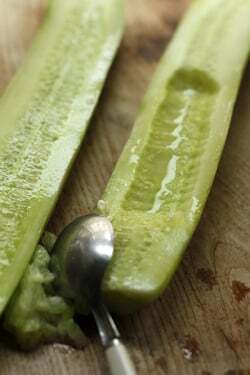 Use a spoon and scrape out the seeds from the cucumber, and discard them. 2. 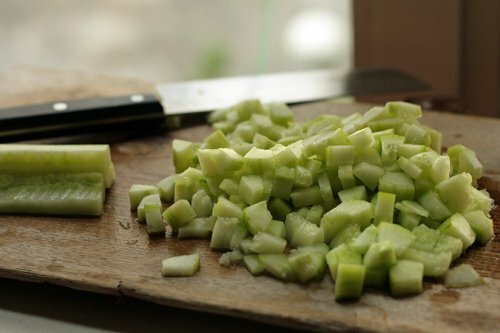 Dice the cucumber into small pieces or shred with the large holes of a box grater. Mix the cucumber pieces in a strainer with the salt, and let them stand for about 30 minutes, shaking and turning them a few times to encourage them to expel their water. 3. After they’ve drained, squeeze the cucumber pieces in a dishtowel to get out most of the excess liquid, and transfer them to a large bowl. 4. Mix the cucumbers with the garlic, yogurt, herbs, and olive oil, and taste, adding more salt if desired. Depending on the brand of yogurt, you might want to add a squirt of fresh lemon juice if you want it more tangy. Extremely new recipe for me, so must try soon. Thanks for entertaining us with so much of Paris. 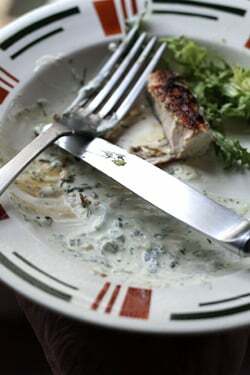 I prefer Tzatziki with mint leaves instead of dill , and generous quantity of fresh garlic. and contains hissop, sesame, salt . In Israel we sprinkle it over yougurt cheese, grilled chicken, baked potatoes, salads , etc. Hi David. Could the green spice be zaatar/za’tar? I love the Israeli crisps flavored with it, very savory with a pronounced oregano taste. Love tzatziki, too, good for the very hot weather we’ve been having in the Philippines. Wonderful idea David. In the 2 weeks I’ve been in Paris, I haven’t seen chicken breasts on many menus I guess because “the trend” is to only the serve dark meat which some, but not all (myself included in the not all group) say is much more flavorful. Are chicken breasts no longer a part of French cuisine? And it appears that you might have deboned yours? And what were you drinking? 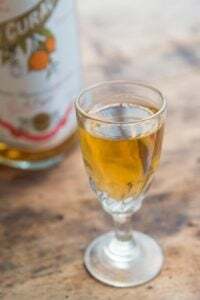 My guess – Lillet? Sorry, too many questions. BTW, I dined at A La Biche du Bois last night. Call me unoriginal but I had the same meal you ordered when you reviewed the bistro except for the Salade Perigourdine. Everything was SUPER, especially the Ile Flottante. I’ll be dreaming about it for months! The only issue I had was the quantity of food (normally not an issue for me – I can eat most people under the table)…the coq au vin could have fed 4! I thought I would explode…otherwise, thanks for the great recommendation! My French other half introduced me to dill in matzo ball soup a few weeks back at our Passover dinner. It works beautifully! Otherwise, picnic season is approaching. Hopefully. 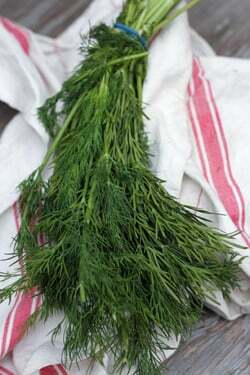 Dill is an excellent addition to a new potato salad with creme fraiche, if you have any leftover next time. 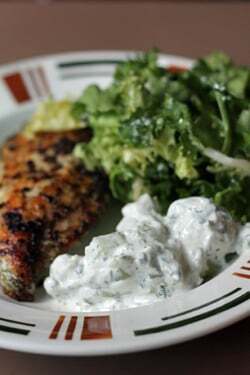 Thank you for this lovely simple recipe–I love a dollop of tzatziki on everything, especially when it’s fresh from the grill. I hope your other half feels better! We in Canada are like you in Paris–on the cusp of spring for too long, and feeling kind of lousy from it. I hope truly warmer weather is finally on the way. 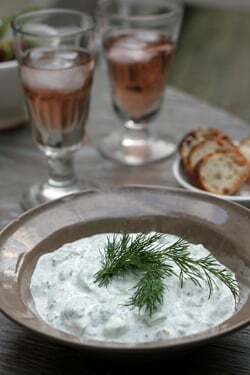 I love tzatziki but have never put dill in mine; Will give it a try soon. Very good idea, David, to visit, enfin, Israel. There are a lot of spices around here, it’s a very spiced country … never an unspicy dull moment. I couldn’t recognize the spice from your chicken breast photo. What do you think it is? Za’atar mixture maybe? Nothing like a good tzatziki! This sounds delightful! Middle East. 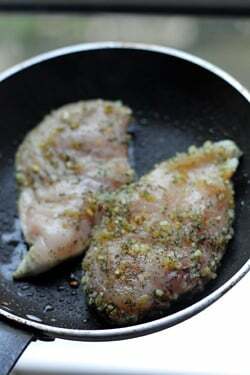 It is great on chicken and fish, and in a salad dressing made with lemon juice, olive oil, and a little salt. You also use it to make menoushi, a lebanese round flat bread (like a pizza crust) that is spread with the zaatar mix and olive oil. Make a slurry of the spice and oil, spread it on the dough, and bake like you would a pizza. Bon appetit! I make just about the same recipe to go with curries but call it raita, using coriander (cilantro) and mint instead of dill. Now you’ve made me curious about the origins of tzatziki. I must do some research! Thanks for the nudge. I learn something new every time I come here. Mmmhhh… juste un détail, forget the ice cubes in the wine. Please. As far as I’m concerned, it’s always Tzatziki time. I use exactly the same recipe and there is never any leftover. Unless I hoard some to use alongside grilled salmon or chicken. Num! 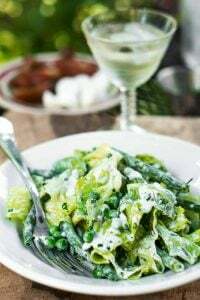 A Greek-ish meal of tzatziki, salad, and marinated, grilled pork tenderloin or chicken is a summer eat-outside entertaining stand-by for me — everyone loves it, it doesn’t heat up the kitchen, and it takes little time to feed a crowd. Hi David. In Greece we always make tzatziki the day we’re going to serve it. Somehow I think it’s one of those mezes that is best served the moment you mix all the ingredients together, when they’re fresh and vibrant. I love that you used dill, that’s how we make it! Dill in chicken soup is so wonderful! My favorite Polish restaurant in Chicago serves a simple but fantastic chicken soup consisting only of broth, very thin, straw-like egg noodles, and lots of fresh dill. So good! Your simple meal of chicken and tzatziki looks so tasty. I might have to make that this week. I’m Russian and we use a lot of dill in our cooking. If you still have any of that dill left, you can make an easy vegetable salad: chop some fresh tomatoes, cucumbers, fresh dill (and scallions if you wish), dress with some vegetable oil (the authentic Russian way is to use sunflower oil), add some salt and black pepper, and serve. Bon appetit! I second the Zaatar guess for the spice mixture. I live on the Arabian Gulf coast- here Zaatar is used in many different dishes, also mixed with oil and spread generously on many types of bread. I made Tzatziki the other day with a tiny drizzle of toasted sesame oil and it was a big hit. Thanks for the cooking inspiration. I was wondering, I didn’t realize tzatziki had dill in it – do you find it to be a noticeable flavour or does it just enhance the flavour of the cucumber? You are so right–unless you are making spanikopita there is always fresh dill left over from the bunch. I’ve never tried dill in chicken soup so thanks for the tip. I second the healing powers of chicken soup first…but admit I’ve never included dill so I’ll have to try that. My once big garden filled with tomatoes and squash in the summer has been changed to an herb garden and I have an abundance of sage and oregano already; wish I could send you some! In lieu of that, I am so making your spice mixture. At the end of the season I have more herbs than I can give away so this would be a nice alternative. The chicken and the sauce sound wonderful and easy. Which means perfect.Can’t wait to try it. I practically live off tzatziki when in Greece. Have noticed that Greek markets sell a kind of powdered garlic which I was told it used to mix into the tzatziki, I guess for ease of preparation. I third the z’aatar guess. Have had it in Lebanese restaurants in London. Also love the manoushi bread, served with labneh, drained yogurt, tomatoes and cucumber for breakfast. While I am not often successful at growing dill (trying again this year), I do keep za’atar around and just refreshed my supply. Thanks for the idea, hadn’t thought of using it on chicken. I’m getting thoroughly bored with the al mattone method and some of my other go-to’s. When my husband gets new egg chickens, they are so stupid they step on each other in the mad dash to eat, so we have a daily supply of freshly-killed young chickens (if we have time to clean them) You never get tired of those, no matter how you cook them. It’s weird, but true. Anyway…za’atar. Yes, thank you for that. And no dill, so I am a mint person with my tzatsiki. And damn you, now I have the craving despite it being almost midnight here. I very much enjoyed The Sweet Life In Paris. You experiences mirror that of a friend who has been living in Lyon. I sent him the book. Thank you for that book. I laughed out loud many times. I intend to try a few of the recipes and the Tzatziki. If you like dill.. have you paired it with spinach? ?… In india.. sometimes we sautee the two lightly with some whole garlic and cumin seeds (optional)..
We use dill in our chicken soup at home as well. The first time I ever had it that way it was a pleasant surprise. It makes the soup even lighter and refreshing. I don’t use dill that often either, mostly with salmon or often pair my salmon with Tzatziki. 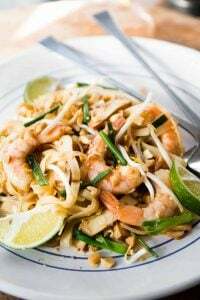 Great recipe and so versatile and light. On a different note: I was planning to make your Orange Popsicle Ice Cream today but was wondering if you’ve ever tried it with Greek Yogurt in place of the sour cream and half and half? I’ll be leaving soon to gather my ingredients so I’d love to hear from you if you’re close by your PC. Love your posts by the way. Always fun to read but I don’t always have the time to post. Can I say that I am truly “addicted” to Tzatziki? I very much enjoyed your article on this subject. However, if you ask a Greek what the secret is for fabulous Tzatziki they will tell you this: mash two (rather than four) cloves of garlic in a wooden mortar until it becomes a creamy paste, then add it to the yogurt mixture (as you don’t want to overwhelm the dish by the garlic), then add a teaspon of white wine vinegar and a Tablespoon of extra virgin olive oil. As told to me by an 83 year old woman on the island of Santorini the summer of 2008. I love dill, and I LOVE taztziki. Your post has put me completely in the mood for some right now. The photos are beautiful! 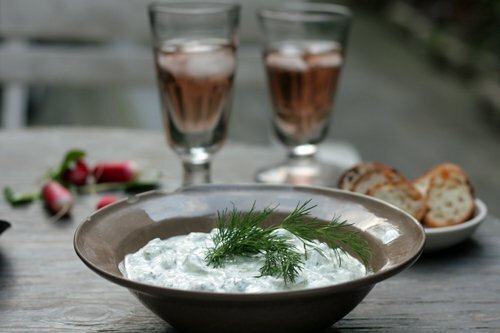 Before living in France, I called this cucumber, Greek yoghurt, Dill simply ‘cucumber dip’, now it’s Tzatziki…. I ‘met’ tzatziki again in Greece and Cyprus – love, love, love it. Have visitors tomorrow; guess I will accompany the wild salmon I bought with some home-made tzatziki – merci bien! I love dill and everything that it does. My favorite surprise dish with dill is steamed carrots sprinkled with dill and lemon juice. For some reason the carrots taste as though they had been steamed in butter. The dill/lemon combination doesn’t seem to do that with any other vegetable I’ve tried, but people avoiding fats are really impressed. Thursday is farmer’s market day, so I’m now off for some cucumbers. Tzatziki and all its iterations is a wonderful afternoon snack. And yes, my ear, nose & throat MD prescribes chicken soup – from scratch – seriously :-). I love getting your posts. Its like getting a tiny little piece of Paris in my inbox. We are staying in the Marais – is there any place there to eat that you feel is a “can’t miss”? My grandmother who loves dill–a common herb in Ukrainian cooking–is now experimenting with new produce you can get in Kiev. She recently came up with an idea of making a dill-avocado salad, which all of us loved. She chops avocado in small cubes, seasons it with lemon juice, salt and pepper, adds a handful of minced scallions and dill. The licorice accent of dill makes avocado taste even sweeter. After reading this post I found myself wandering through Jerusalem’s open-air market, wondering which spice your friend had given you. You must absolutely come to visit – I’d love to see what you’d concoct with the mountains of middle eastern spice mixtures so colorfully displayed in our market! Now I’m off to make tzatsiki … it’s been far too long since I’ve had some and there’s a big bunch of dill just waiting for me in the kitchen. Thanks for the inspiration! Love the coincidence. I made tzaziki last night to go with a ground lamb, eggplant, shallot, garlic, mushroom dish I made with a little dried mint and herbes de Provence. I am a huge fan of dill and use it in scrambled eggs, egg salad (with mayo, ground fresh pepper, Whole Foods relish), and with tuna salad as well. I sprinkle it on trout before I grill it, and of course on fresh grilled salmon before it goes on the barbecue or into the overn. It’s also wonderful on new potatoes. Thank you for this reminder to everyone! Victoria – I live in an avocado grove. The dill-avocado salad sounds wonderful. We’ll try it as soon as we can get our hands on some dill. Thank your grandmother and tell her that her recipe has spread to Fallbrook, California – avocado capital of the world. I love Tzatziki with grilled chicken. And dill in chicken soup is an absolutely must! This Mediterranean restaurant I went to once, made tzatziki with finely shredded cucumber and hung curd and I loved it. This version reminds me of the Indian raita, except that there’s no garlic and instead of dill, freshly chopped coriander and mint are used. Mag: Putting ice cubes in rosé is a custom I learned in Marseille and in Nice, which they do in the south of France. richdad: It’s not especially common to find chicken breasts on restaurants/café menus (they’re mostly sliced on salads) – and folks in France don’t eat chicken in restaurants as much as we do in America. It’s considered “home” food, or something you buy at the market and bring home. Glad you liked Biche au Bois! Samira: Yes, I know some people mash the garlic, which you could do with a fork with a bit of the yogurt to disperse it a bit. baker in disguise: I’ve not tried dill with spinach but I love Indian food – so will give it a try. Vicki: I am sure Greek yogurt would work. For best results, use the regular and not a nonfat variety. Interesting to know that dill is so popular in France. When I have dill, I put it in practically everything savory I cook: salads, meats, soups – you name it. The thing here is not to overdo. Dill will bring a simple soup to a new level. Put a bouquet of dill in a meat broth at the end of cooking, let it brew for 10 minutes, open the lid, and feel the difference. Don’t see the point in removing cucumber seeds, especially when they are young. I also always wondered why chefs deseed tomatoes, removing valuable antioxidants and possibly lycopenes. Why not to use the most of what we pay for?.. I love your glasses that you served rose in, can I get them in Paris? I pick them up at flea markets and brocantes when I see them. You just have to scout around, although I think you can find reproductions in Paris and there are some vintage shops in the city that likely carry them as well, but you have to poke around to find the used ones. When I see an especially nice bunch of dill in the market, I’m compelled to make the fabulous soup from my long lost copy of The Silver Palate Cookbook (recovered on line by googling Silver Palate Dilled Tomato Soup). It’s best, of course, in the summer, with fresh tomatoes, but good quality canned tomatoes will do the trick. 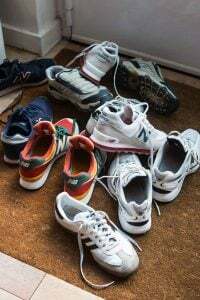 And all that vitamin C, not to mention the garlic and onions, and the fragrance of dill, allspice and orange peel, might help someone who’s feeling under the weather. 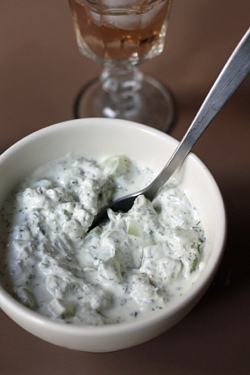 I love tzatziki, and its Indian cousin, raita, and quite often make them at home. I, too, have been poorly this week and actually, I could just fancy some now, with a flatbread…. Years ago I used to make a version with a Petit Suisse – the plain kind, obvs, not the fruity stuff – and that was oddly good, and different. Try it, sometime….. I don’t think ordinary fromage frais would work, but the Petit Suisses with a roll of paper round the cheese (they do still sell those, don’t they?) made a very pleasant dish. David — how DID you prepare your chicken? It looks very tasty. I’m in constant search of a good, simple method — mine always seem to turn out kind of dry. 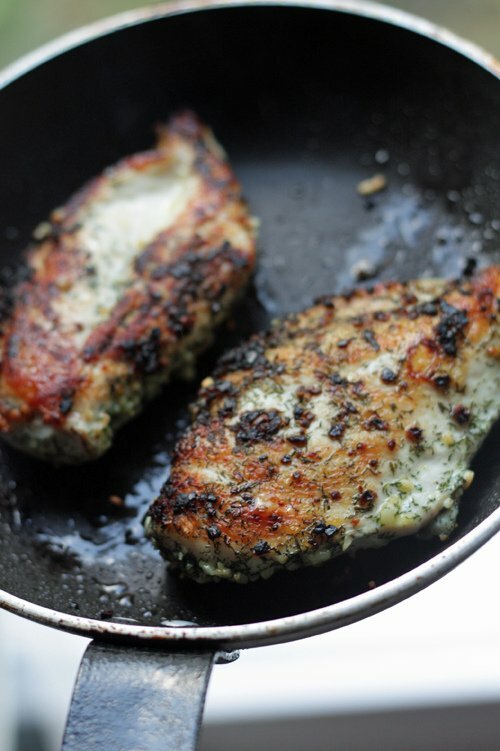 I marinated the chicken breast in the spices, the ones mentioned, with some olive oil – which I let sit for a few hours in the refrigerator – then pan-fried them. It’s a great, quick way to prepare them. Discovered the beauty of tzatziki a few years back and it’s a definite for the summer fare, especially in the heat of Hades! 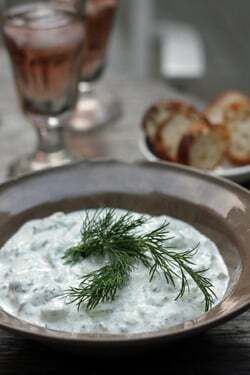 Tzatziki is very similar to raita which is so cooling and refreshing alongside a spicy Indian dish. I married into a Greek family. Dill is used a ton. It goes into spanikopita – the spinach and fete pie. Interesting to see in the above comment that its also done in India. One trick that I learned when making tzatziki for the masses – thing of big family gathering and a few refill of the meze platter.- is adding just a a tablespoon of two of cream cheese to the tratziki. It keeps if from getting all watery if it needs to wait around a little before devouring. The pictures of the rose are calling me. Za’atar is an Arabic spice/herb mixture, not an Israeli one. I’ve made shevid polow with dill recently. It’s a Persian rice dish prepared with dill and saffron. really yummy! my eyes literally bugged out of my head when I saw that cooked chicken! it looks wonderful. I just ate but that chicken is making me hungry again! Gorgeous photo as usual. I love tzatziki, it feels indulgent even though it’s not really. I’ve been loving fresh dill just mixed in simple green salads, that and the rare cilantro leaf gives it a nice punch! Throw in a handful of dill in any dhal in the final few minutes and the taste is amazing. Beautiful blog you have. We are coming to Paris from Boston a week from today as our first trip with our 4 month old. Really hoping the weather clears up a bit for us because our itinerary is mostly walking around and sitting in gardens! Oh how I love dill. And tzatziki ain’t so bad either! Yes, you can use lowfat yogurt depending on the yogurt. In the US, a lot of the commercial varieties don’t have much flavor or texture, so I generally recommend people use full-fat ones. But you’re right that there’s lots of variations in yogurts around the world and some of the lowfat ones are likely fine to use. In a dry pan, toast the sesame seeds on a high heat for one to two minutes. Place all the ingredients in a blender and process until finely mixed. Store in a jar in the fridge for up to a week. I knew there was something I could do to make best use of a single serving a sheep’s milk yogourt, an ounce or two of goats cheese, and a couple tablespoons of creme fraiche I had left over. Thank you for the inspiration. I added about 4 cloves of garlic to half the amount of dairy you suggested. Also added lemon. Was a delight wiith oregano roasted potatoes and fried merguez. Funny, I had tzatziki with my lunch just the other day, but it was made with dill, no mint. I like it better with mint, no dill. I’m anxious to see your new apartment kitchen! Congratulations on winning the Saveur Best Celeb Blog…again! I guess I read every post, and try so many of your recipes. Celebrate! I always think tzatziki goes best with lamb and I love it when there’s so much garlic in it burns your mouth. Bringing seeds over next trip to sprinkle liberally in all the parcs etc. Wow. Thanks for this! Recently planted dill in our garden. It grows quickly & abundantly & this certainly helps! Will also try using this on chicken soup. On a bit-related note – In our country, we cook Tinolang Manok to soothe fever & colds. You might want to try it out. It’s just a simple saute of ginger, garlic, and onions. Mix in some chicken, pour just enough water (or if you still want some more broth). Boil then simmer a bit. Add some malunggay (moringa) or red pepper leaves and green papaya. After reading this post, I’m thinking cucumber would be a good sub for green papaya. Season with salt & black pepper (If you have access to fish sauce, add this to the soup, too.). 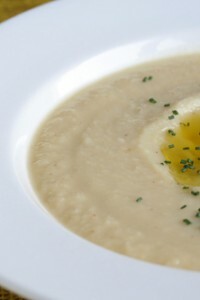 Turn off the heat & let this delicious tasty soup heal you inside & out. Let me know if you get to try it. You forgot the olive oil!! Greek food without olive oil is non – existent I guess. If you want a bit of bright sunny skies and warmer weather come to Tunisia! I’ve got a bottle (or 3) of Rose and a big bunch of dill waiting! I ran into my friend who gave me the spices and she assured me that it is not zatar (zaatar) – but said the other one was called toscane, which was interesting since that means “Tuscan” in French. So I did some searching and it perhaps may be “asperso” (at Gourmet Sleuth) – which appears to be a variable mixture of herbs, salt, and red chiles. But I don’t know if that’s the definitive answer. Bonjour from Kuala Lumpur, Malaysia. Sitting here with a cup of tea & cookies. Almost made want to grab some dill and incorporate it into Asian cuisine. You appear to be having fun. And be totally fantastic at it! Dinner tonight was inspired by what I saw in your photos. I seasoned the chicken with ground sumac and thyme and ground chipotle. Very satisfying. Next time will try some homemade zatar. Tsatziki is a staple in our house, and I like it best when made with full-fat Greek yogurt. When I had an office job, my favorite lunch was leftover basmati with a generous topping of tzatziki. 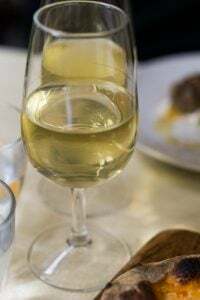 Regarding ice in wine, have witnessed my languedocien neighbor, maker of high quality wines, put ice in his glass of white or rose in really hot weather. What a timely post. I grew lots of dill this summer, and made loads of tsatziki and raita. Now that it’s early autumn here in NZ, I’ve been looking for ways to use all the teeny dill plants that have self-seeded, mostly in my rose garden. It had never occurred to me to pop some into chicken soup, but the idea delights me. 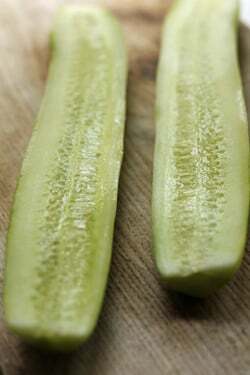 I’m also rather partial to cucumber sandwiches, spread with cream cheese that has dill and lemon zest beaten into it. This cream cheese mix is also terrific with rye bread and smoked eel. I also want to thank you for your newsletter; the info. re the new Cuisinart ice cream machine arrived on the day that my 20yr. old Ariete machine bit the dust. And even more auspiciously, when I rang the local Cuisinart supplier, he said that that would be the model that they would be getting in their next delivery. He thought it was rather odd that I would want an ice cream machine with winter just around the corner here, but I can think of nothing better than ice cream with hot chocolate sauce, or a steaming slab of gingerbread cake on a cold day.Cheers from the edge of the map, Karen. I’ve been a longtime (albeit silent) fan of yours. I find that your recipes consistently are the tastiest, and I trust them as they haven’t ever let me down ~ other than the basic pie dough. I probably am doing something wrong and would appreciate your feedback. I work in a small cafe and was trying to make small pumpkin tartlets, and used the pie dough recipe. I used a food processor to blend the butter into the pastry into pea-sized bits, chilled the dough for half and hour and then rolled it out pretty thin and filled the shells. I pricked them with a fork and froze them for hours, then blind-baked them at 175 degrees celcius for at least 15 minutes then removed the weights and continued baking them at the bottom of the oven until they were lightly golden brown, then added the pumpkin mixture and baked it until the custard had nearly set. However, while every time I have tried this the top and sides of the pastry are browned and flaky, the bottom does not get cooked all the way through — it looks like grease marks on white paper and I cannot figure out why the bottom won’t get nicely baked like the rest of the tart — any words of advice would be greatly appreciated. Oh, and the pie tins are dark nonstick, if that makes a difference. 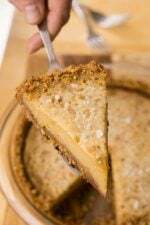 (I have also tried other flaky pie dough recipes and have had similar results). Can you post a chicken soup recipe? Dimitra: Yes, I know some people add olive oil to their tzatiki (Greek olive oil, of course!) – although I like a thick tzatziki, so I don’t usually add it. wendy: Here I just put a whole chicken in a pot of water with some salt and bâtons of carrots (I add those halfway through the cooking), and a halved onion, covered it, and let it simmer gently for about an hour or two. Sarah: When you bake pastry with weights, it’s hard to get the bottom to brown, which is why in my recipe, I advise removing the pie weights once the dough is ‘set’, before baking the shell to completion. 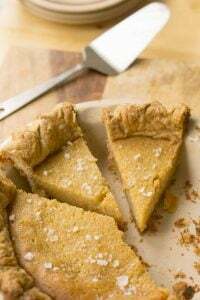 If you’re adapting the recipe for making small tartlets, the baking time – of course – will vary from the recipe, which calls for a larger tart pan. Karen: Glad you liked the newsletter ~ I am very interested in the new machine, although they’re not available in France (my last one I shipped from England) – happy to hear that you like it, and happy churning! Ruth: A Champagne-maker from a very fine house told me it was okay to put a small cube in your Champagne, reasoning that it’s better to drink chilled Champagne with a bit of ice in it, rather than a tepid glass. A friend from Nice told me that people there don’t treat rosé like wine, it’s more of “a drink” – so loading the carafe or glass up with ice is perfectly acceptable. It’s coming to winter here, it’s grey. Happy time ahead though – there’s a pot of goulash on the stove, to be served with dilly dumplings. There is a secret to make a good tzatziki. A watery, runny tzatziki is worth nothing. The secret is to add some vinegar to the yoghurt. Lets say 2 tablespoons to 1/2 liter of thick greek yoghurt. It helps the yoghurt to remain thick after adding the cubed or shredded cucumber . 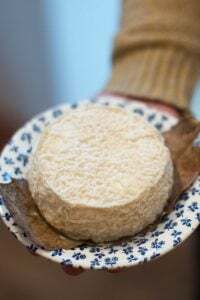 I suppose it is the same effect as in the alternative method of making cheese with lemon juice instead of rennet.You should also add 2 tablespoons of olive oil.It helps the structure and improves the flavor. If you start with a runny yoghurt just put it in a coffee maker filter and let drop for 5- 6 hours . Dill is optional.Very common in tzatziki made in Thessaloniki(northen Greece) but not elsewhere. Tzatziki is really good and fresh, especially now with the good weather (sorry, we just had a week of summer and sun). Aww that was nice of you to make a chicken dish for the significant other! I feel like pastina and chicken go together like two peas in a pod…so good. 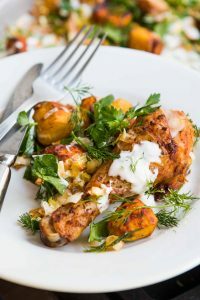 Your tzatziki sauce looks fantastic – I have never made it homemade, and truthfully, I would like to smear your version on everything in sight…hell, I’d eat it on a potato chip! MMm! Can’t wait to make your recipe! I just got back from a trip to Paris and in one cafe I had smoked salmon laid across tzatziki on fresh Poilane bread! It was to.die.for. I looove tzatskiki…I could make and eat some everyday…I put some olive oil and lemon juice in mine. tzatskiki , which is called “cacık” in Turkey is a very traditional and popular meze with raki. Turkish people makes it with mint and garlic. I’ve been lucky to find fresh za’atar (wild thyme, some people translate it as winter savory; it’s got longish skinny leaves that are a cross between fresh oregano and French thyme in flavor) here in Los Angeles–a lot of Armenian mom-and-pop greengrocers sell it inexpensively, along with big bunches of dill. I find I often can’t keep up with the serious Armenian ladies who buy things like red bell peppers by the bushel and kilos of bulgur at a time.So I wash the leaves and store about half the bunch in ziplock baggies in the freezer as soon as I get home. If you squeeze the air out well, they’ll keep pretty well for months as necessary and taste surprisingly fresh.